Crowd and safety barriers don’t have to be plain and functional. Why not ask Emerge for a set of branded barrier covers? 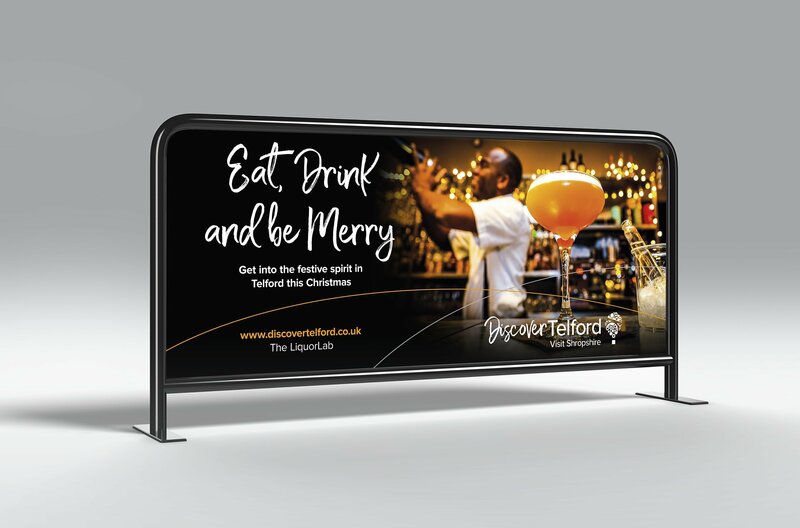 They are a great way to get your brand visible at festivals, sports events, concerts, processions and many other public events. 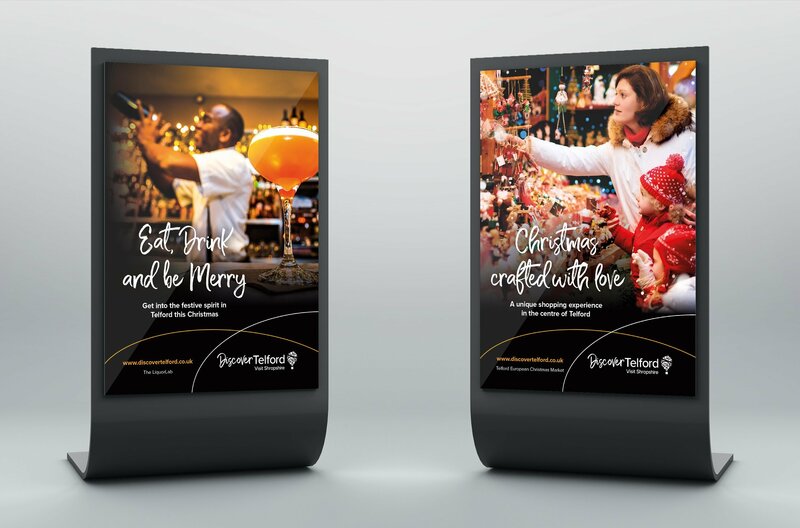 Emerge produced a series of barrier and poster designs that featured festive messages and imagery. 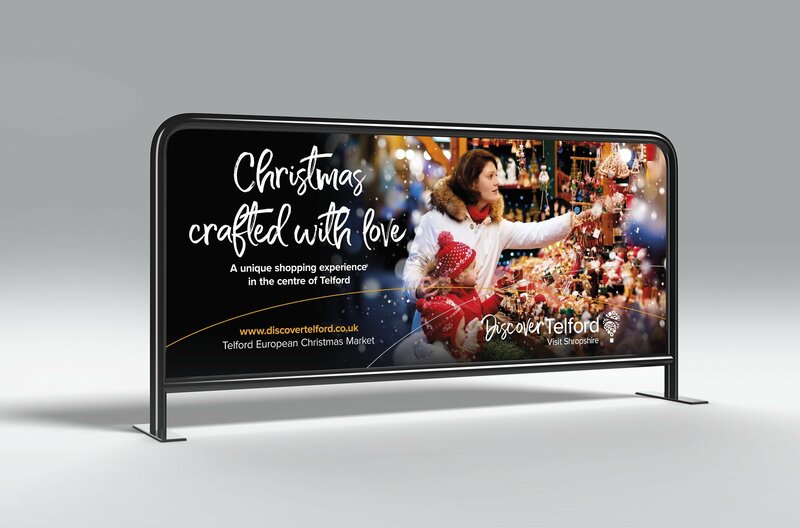 The material was used at the Telford European Christmas Market and other local tourist attractions. 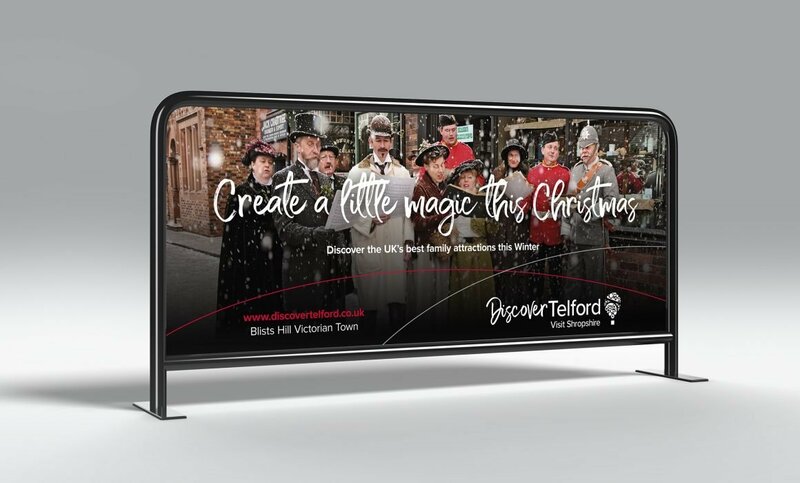 We worked with Discover Telford, who are part of the Telford & Wrekin Council, our brief was to keep the artwork consistent with other material created by Discover Telford. Look at the designs below and contact us if you need something for your business or organisation?